November has come upon us which means its time for another written episode of Hardware Breakdown. This month we take a close look at Apple's miniature desktop, the Mac Mini. Here's a bit of factual information for you, it's been four years since the computer has had hardware an upgrade, 2014 to be exact. 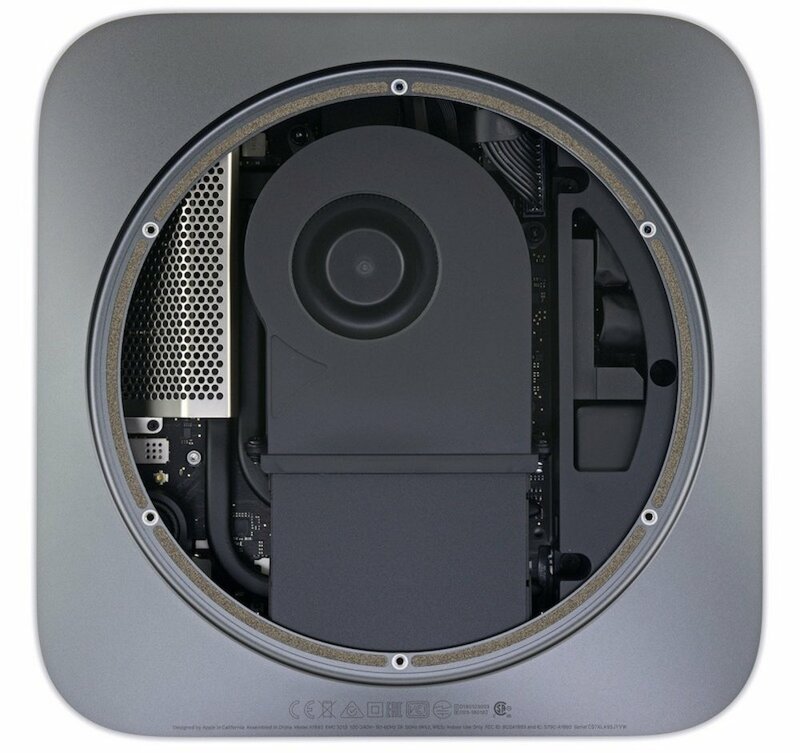 With that said, as always with Hardware Breakdown; let's use the imagination a bit, get out tools and take the lid off of the Mac Mini and examine its core hardware. Now for this post, we will use the higher price top end model as a point of reference. Let's get started. The processor is by far the most potent piece of hardware within the Mac Mini, which of course is the case with any computer. But this particular system houses an Intel Core i7 3.2GHz processor, Turbo Boost up to 4.6GHz, with six working cores, 12MB shared L3 cache. Enough power to handle any resource-intensive tasks that includes, video and photo editing. The Mac Mini features a pretty fast 2666MHz DDR4 SO-DIMM memory. With ease, according to Apple it should render massive files or run multiple virtual machines. Users have the option to go with 8GB up to an astounding 64GB of RAM. Like with most current Apple computers, the Mac Mini uses an all-flash PCIe-based storage, which supposed to be four times the speed of previous flash options capable of reaching 3.4G/bs sequential read. Like the RAM, the drive can also handle large files at a fast rate. Potential users can choose up to 2TB of SSD storage which will of course drive up the price. Interestingly enough, the Mac Mini doesn't have a discrete graphics chip; instead it uses an Intel UHD Graphics 630 which is embedded within processor. An controversial move by Apple considering some of their desktop edition computers, in particularly the current iMac’s include a Radeon Pro 55 discrete graphics chip. 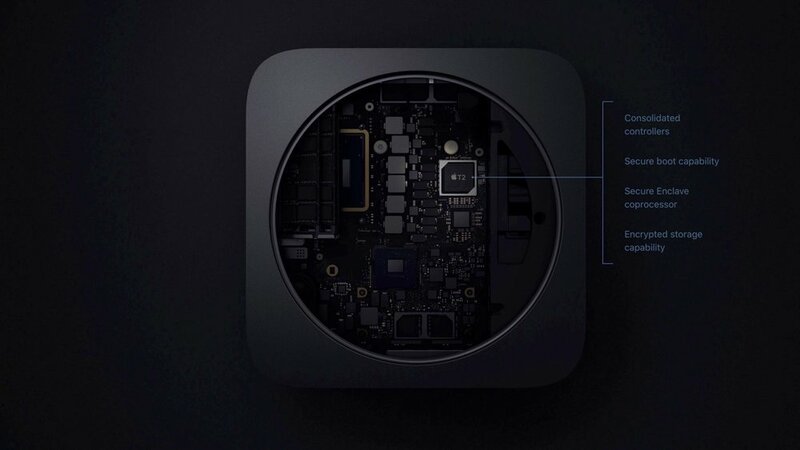 The Mac Mini features a security co-processor better known as the T2 Security Chip, the same chip you'll find in the current generation Mac Book Pros. The Apple design silicone includes an Enclave co-processor that provides a full storage encryption. For me the ***star feature in the Mac Mini is its redesigned thermal setup. With heavy-duty hardware crammed into a small square like shell, one would expect the device to overheat, but theory it shouldn’t be the case. The fan is much bigger with expanded vents, increasing airflow. According to Apple, even under a heavy workload, the Mac Mni will run very quiet.